The latest in our line of RF detectors is tucked away inside a fully functional pen. Lightweight and ultra-portable, it can help you detected RF signals, including those emitted by cell phones, up to a 30 ft! 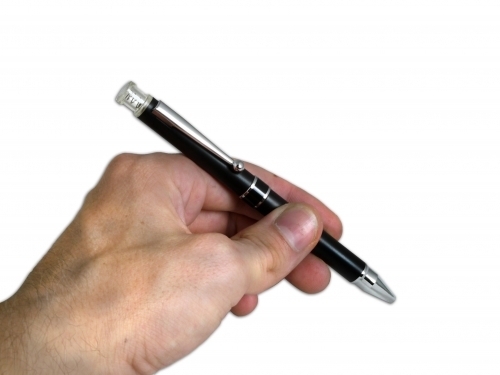 Upon detecting a cell phone or wireless RF signal, the red LED on the top of the pen will begin to flash alerting you that you may be being watched.